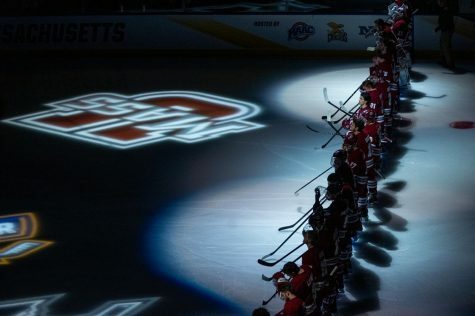 The Massachusetts hockey team overcame an early three-goal deficit Saturday afternoon, but did not have a chance to over come two late goals by Brandon Wong as it fell in overtime, 5-4, at Quinnipiac. 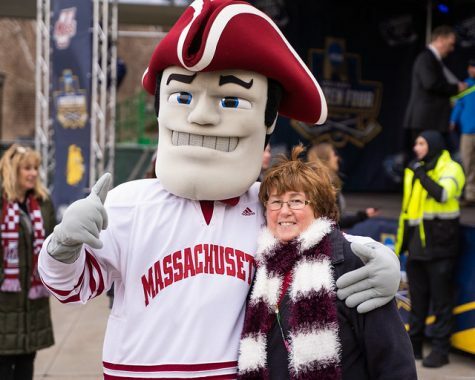 The Minutemen took a 4-3 lead – overcoming three first period goals by the No. 9 Bobcats – on Michael Lecomte’s fourth goal of the season with six minutes, 46 seconds remaining in the game, only to have Wong score with 1:10 left to send the game to overtime. Wong then came through 2:18 into overtime to notch the game-winner and give UMass its first loss on the road this season. Goalkeeper Dan Meyers got the start in net for the No. 10 Minutemen (9-3-0, 5-2-0 Hockey East) and gave up three goals to QU (12-1-0, 7-0-0 ECAC) starting with one 3:35 into the contest to Jean-Marc Beaudoin, before being replaced by Paul Dainton. Just over 11 minutes later, the Bobcats’ Mike Atkinson took a pass from Brett Dickinson and shot the puck past Meyers for his sixth goal of the season. At the 17:11 mark in the period, QU took a 3-0 lead on Scott Zurevinski’s goal off an assist from Eric Lampe. 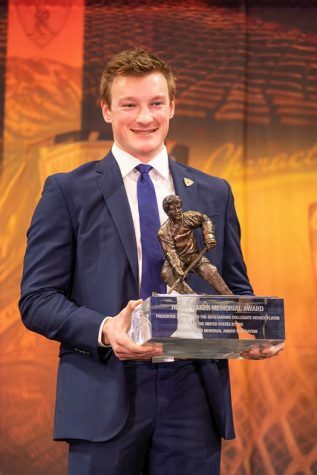 The deficit remained at three until 18:15 into the second period when Casey Wellman beat the Bobcats’ goaltender Dan Clarke (28 saves) for the first time in the contest. Just under halfway through the final period, Will Ortiz brought UMass to within one after he fired a shot in after Lecomte’s assist. Wellman scored his ninth goal of the season and fifth of the week, 11 seconds after Ortiz’s to even the game at three. Marcou and his brother Michael Marcou, assisted Wellman on the goal. 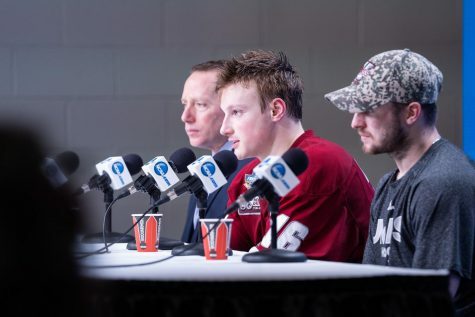 It was the fifth time that Marcou assisted Wellman in UMass’ last two games. 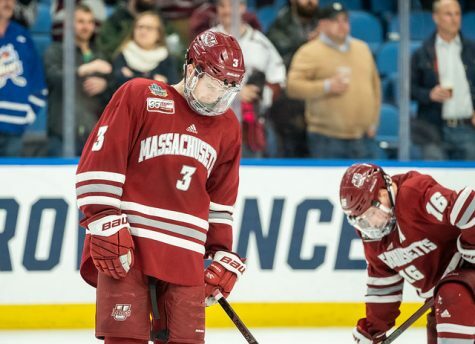 Lecomte received a pass from Ortiz at the 13:14 mark in the third period and fired a shot into the net, for UMass’ first lead of the contest. The lead lasted 5:26 when Wong buried a shot off a pass from Zach Hansen to tie the game at four apiece. Wong did the same 2:18 into overtime, as he scored the game-winner after receiving a pass from Mike Atkinson. Beyond Wong’s two scores, Dainton (28 saves) was solid after replacing Meyers (12), preventing any scoring by Quinnipiac from the start of the second period until Wong’s score at the end of the third. 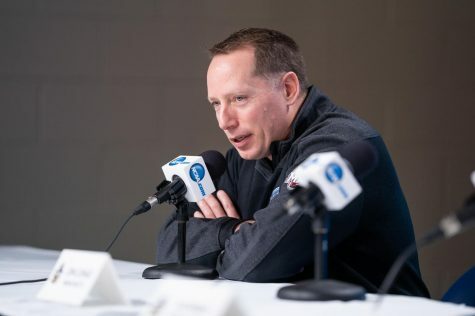 The Bobcats prevented the Minutemen, one of the best power play units in the nation, from having many power play chances, with only a charging penalty being called on Lampe. 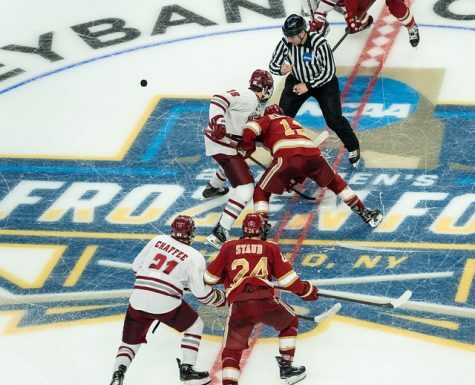 UMass had three penalties – with the Bobcats going 1-for-3 on the power play. Lecomte was called for elbowing in the first period while Justin Braun saw four minutes in the box for separate hooking and interference calls in the final period. 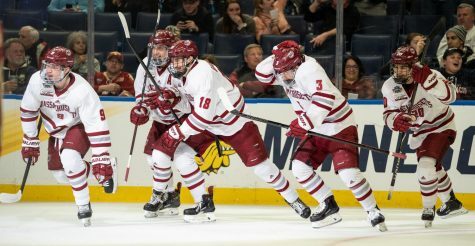 Wellman and Marcou continued to play strong after both exploded in UMass’ win on Tuesday over then-No. 17 Vermont. After Wellman scored a hat trick against the Catamounts, he notched another two goals on Saturday. 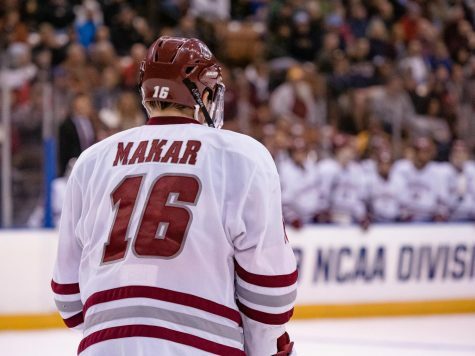 Marcou followed his five assists game against UVM, with two more assists against the Bobcats.